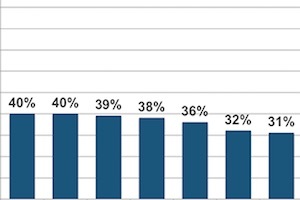 Just under half (46%) of small business owners say their company does not have a website, according to a recent report from Clutch. The report was based on data from a survey of 350 US small business owners and managers, most of whom own or work for a company with 1-10 employees and less than $1 million in annual revenue. 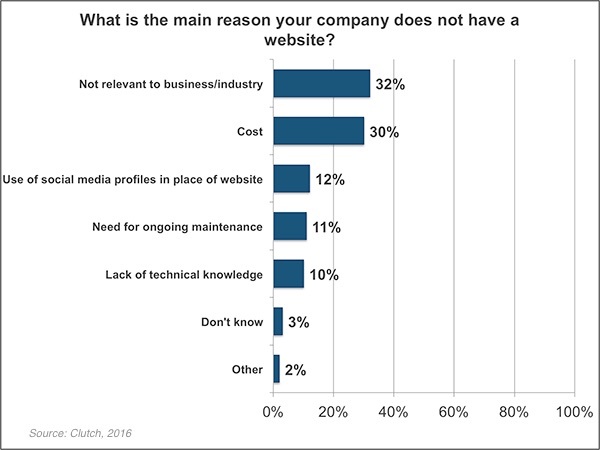 Some 32% of companies without a website say they do not have one because it is not relevant to their business/industry. Another 30% say they do not have one because of the cost, and 12% say they have a social media profile instead of a website. 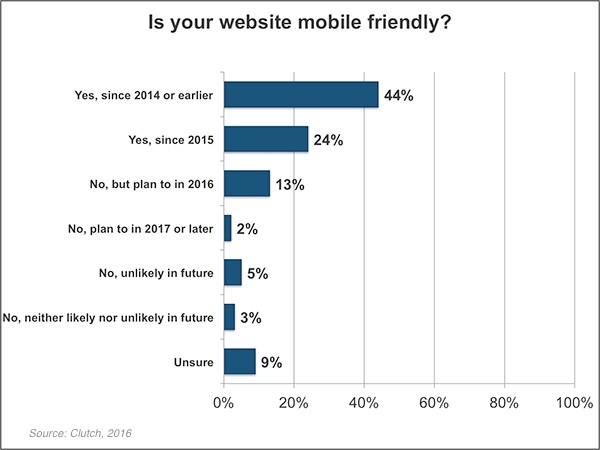 Two-thirds (68%) of businesses with websites say their sites are mobile-friendly; an additional 13% plan to make their websites mobile-friendly this year. 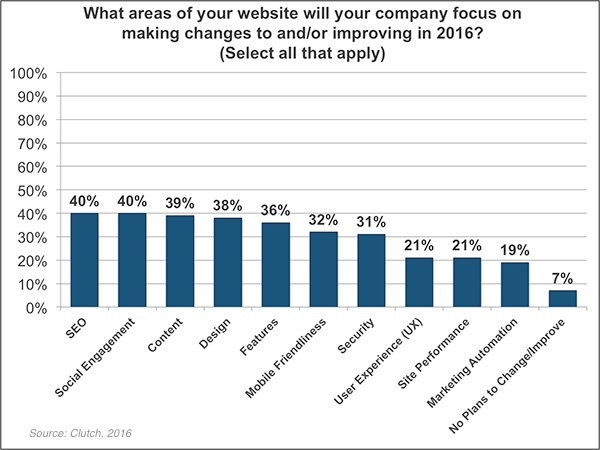 The top website areas small business owners plan to invest in this year are search engine optimization (40% plan to make changes/improve), social engagement (40%), and content (39%). About the research: The report was based on data from a survey of 350 small business owners and managers; most respondents own or work for a business with 1-10 employees and less than $1 million in annual revenue.